Seat introduces a new layout for the family minivan, the Alhambra FR Line. This sporty version is aesthetically different from the rest of the range for the 18-inch Akira Gray alloy wheels, the black side profile, the Atom Gray rear-view mirrors and, of course, the FR logo on the front grille. Inside the new Seat Alhambra FR Line, there are the seats in Alcantara with contrasting stitching in red, steering wheel and gear shift knob in leather and the aluminum door sill. 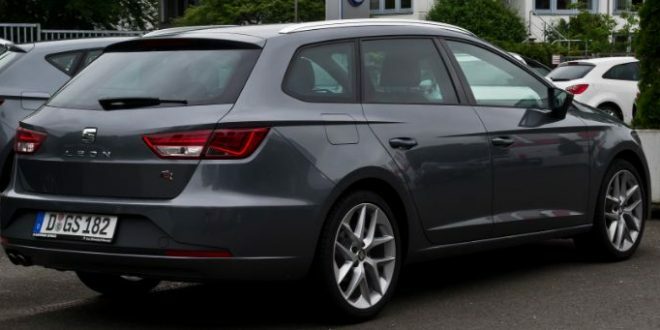 The engines available for the Seat Alhambra FR are the 2.0 TDI CR 115 hp with manual transmission, the 2.0 TDI CR 150 hp with 4Drive all-wheel drive and the DSG automatic transmission and the 2.0 TDI CR 184 hp with DSG gearbox and, optionally, front or full wheel drive. The standard equipment includes 18-inch alloy wheels, sports suspension, satellite navigation, park assist, the Kessy system, the rear doors and the electric opening hatch, the Alcantara sports seats, the three-axle Climatronic areas and light in the footwell.